Apartment Selector offers the very best service in town. Since 1959, we have helped renters find their next apartment home, for free. Ask About our AAA Apartment Deals- A Great Deal!! Call for details! Absolutely Awesome Available Apartment Deals. Click on the Search Request Form for Apartments in Fort Worth, Irving-Las Colinas-Valley Ranch-Arlington-Grapevine-Lewisville-Denton. Complete the Search Request Form for Apartments in Fort Worth- Hulen Mall Area-Manisfield-Alliance Airport-Haltom City. Dallas Fort Worth Markets we service. Learn more below. Visit the Community Pictured Above! The trusted name in apartment locating since 1959. Albuquerque, Atlata-Marietta,Austin,Dallas, Irving, Plano, Arlington, Charleston,Charlotte,Fort Worth-HEB,Houston-Clearlake, Jacksonville, Las Vegas,Memphis,Nasvhille,Oklahoma City,Pittsburgh,Portland, San Antonio, Tampa, Tulsa. will not keep you down! Facts and Information. Do you need temporary employment? Please click here! Apartments Near Major Employers and More! Amesbury Court Haltom City TX Zip Code: 76137 Call 817-886-8373for information about renting! Amli On The Green Ft. Worth TX Zip Code: 76137 Call 817-886-8373for information about renting! Barrington @ Beach Street Haltom City TX Zip Code: 76117 Call 817-886-8373for information about renting! Belmont Oaks Fort Worth TX Zip Code: 76106-0000 Call 817-886-8373for information about renting! Boty 79 Azle TX Zip Code: 76020 Call 817-886-8373for information about renting! Browning Heights Haltom City TX Zip Code: 76117 Call 817-886-8373for information about renting! Cambridge Estates Saginaw TX Zip Code: 76179 Call 817-886-8373for information about renting! Club At Springlake Haltcom City TX Zip Code: 76117 Call 817-886-8373for information about renting! Cornerstone Haltom City TX Zip Code: 76117 Call 817-886-8373for information about renting! Crestwood Manor Azle TX Zip Code: 76020 Call 817-886-8373for information about renting! Dayton Square Haltom City TX Zip Code: 76117 Call 817-886-8373for information about renting! Desert Sand Haltom City TX Zip Code: 76117 Call 817-886-8373for information about renting! Eagle Landing Ft Worth TX Zip Code: 76135 Call 817-886-8373for information about renting! Eagles Point Fort Worth TX Zip Code: 76179 Call 817-886-8373for information about renting! East Village Apts Haltom City TX Zip Code: 76117 Call 817-886-8373for information about renting! Fairway On The Park Haltom City TX Zip Code: 76117 Call 817-886-8373for information about renting! Fossil Hill Apartments Haltom City TX Zip Code: 76117 Call 817-886-8373for information about renting! Fossil Ridge Apts. Haltom City TX Zip Code: 76117 Call 817-886-8373for information about renting! Gallagher Homes Ft Worth TX Zip Code: 76106- Call 817-886-8373for information about renting! Garden Gate Ft. Worth TX Zip Code: 76137 Call 817-886-8373for information about renting! Gardens Blvd Se Fort Worth TX Zip Code: 76117 Call 817-886-8373for information about renting! Haltom Oaks Haltom City TX Zip Code: 76117 Call 817-886-8373for information about renting! Hertiage Haltom City TX Zip Code: 76117 Call 817-886-8373for information about renting! Hidden Lakes Haltom City TX Zip Code: 76137 Call 817-886-8373for information about renting! Horizons At Fossil Creek Tex TX Zip Code: 76137 Call 817-886-8373for information about renting! La Fonda Fort Worth TX Zip Code: 76111 Call 817-886-8373for information about renting! Lakeview Apartments Ft.Worth TX Zip Code: 761354538 Call 817-886-8373for information about renting! Lakeview Terrace Haltom City TX Zip Code: 76117 Call 817-886-8373for information about renting! Legends At Eagle Mountain Fort Worth TX Zip Code: 76179 Call 817-886-8373for information about renting! Marine Creek Ft Worth TX Zip Code: 76106-0000 Call 817-886-8373for information about renting! Markgraf Mgmt Azle TX Zip Code: 76020 Call 817-886-8373for information about renting! Meridian Fort Worth TX Zip Code: 76106 Call 817-886-8373for information about renting! Olson Philip D (House) Ft. Worth TX Zip Code: 76111 Call 817-886-8373for information about renting! Park Creek Ft.Worth TX Zip Code: 76137 Call 817-886-8373for information about renting! Park Two Haltom City TX Zip Code: 76117 Call 817-886-8373for information about renting! Park View Village Forth Worth TX Zip Code: 76111 Call 817-886-8373for information about renting! Retreat At Fossil Creek Ft Worth TX Zip Code: 76137 Call 817-886-8373for information about renting! Ron West Fort Worth, TX Zip Code: 76117 Call 817-886-8373for information about renting! Sante Fe At Fossil Creek Fort Worth TX Zip Code: 76137 Call 817-886-8373for information about renting! Sappington Oaks Ft. Worth TX Zip Code: 76179 Call 817-886-8373for information about renting! Spring Lake Haltom City TX Zip Code: 76117 Call 817-886-8373for information about renting! Summer Brook At North Beach Fort Worth TX Zip Code: 76137 Call 817-886-8373for information about renting! Summit On The Lake Ft Worth TX Zip Code: 76135 Call 817-886-8373for information about renting! Village On The Park Ft Worth TX Zip Code: 76111 Call 817-886-8373for information about renting! Villages Of Fossil Creek Fort Worth TX Zip Code: 76137 Call 817-886-8373for information about renting! Vistas At Lake Worth Fort Worth TX Zip Code: 76135 Call 817-886-8373for information about renting! Waldemar Haltom City TX Zip Code: 76117 Call 817-886-8373for information about renting! Williamsburg Village Saginaw TX Zip Code: 76179 Call 817-886-8373for information about renting! Woodlake Run Ft Worth TX Zip Code: 76135 Call 817-886-8373for information about renting! Aden Crest Apartments, Ft.Worth Texas, Zip Code: 76116 Call 817-886-8373 assistance! Alta Ridglea Village Apartments, Fort Worth Texas, Zip Code: 76116 Call 817-886-8373 assistance! Alta Ridglea Village Apartments, Ft. Worth Texas, Zip Code: 76116 Call 817-886-8373 assistance! Ambassador Apartments, Fort Worth Texas, Zip Code: 761126389 Call 817-886-8373 assistance! Amesbury Court Apartments, Haltom City Texas, Zip Code: 76137 Call 817-886-8373 assistance! Amli Of 7th Street Station Apartments, Ft.Worth Texas, Zip Code: 76102 Call 817-886-8373 assistance! Amli On The Green Apartments, Ft. Worth Texas, Zip Code: 76137 Call 817-886-8373 assistance! Amli Upper West Side Apartments, Ft.Worth Texas, Zip Code: 76102 Call 817-886-8373 assistance! Appian Way Apartments Apartments, Haltom City Texas, Zip Code: 761173445 Call 817-886-8373 assistance! Arbors Of Burleson Apartments, Burleson Texas, Zip Code: 76028 Call 817-886-8373 assistance! Arbors On Oakmont Apartments, Fort Worth Texas, Zip Code: 761322958 Call 817-886-8373 assistance! Avery Point At City View Apartments, Ft. Worth Texas, Zip Code: 76132 Call 817-886-8373 assistance! Barrington @ Beach Street Apartments, Haltom City Texas, Zip Code: 76117 Call 817-886-8373 assistance! Belterra Apartments, Ft. Worth Texas, Zip Code: 76137 Call 817-886-8373 assistance! Bentley Square Apartments, Fort Worth Texas, Zip Code: 76112 Call 817-886-8373 assistance! Birchman Apartments, Fort Worth Texas, Zip Code: 76107 Call 817-886-8373 assistance! Bluffs At Iron Horse Apartments, North Richland Hills Texas, Zip Code: 76180 Call 817-886-8373 assistance! Bonnie Royal Apartments Apartments, Ft. Worth Texas, Zip Code: 76116 Call 817-886-8373 assistance! Brentwood Apartments, Fort Worth Texas, Zip Code: 76112 Call 817-886-8373 assistance! Calloway Place Apartments, Ft Worth Texas, Zip Code: 76114 Call 817-886-8373 assistance! Cameron Creek Apartments, Fort Worth Texas, Zip Code: 76132 Call 817-886-8373 assistance! Candletree Apartments, Fort Worth Texas, Zip Code: 76133 Call 817-886-8373 assistance! Carol Oaks I Apartments, Fort Worth Texas, Zip Code: 76112 Call 817-886-8373 assistance! Chesapeake Apartments, Fort Worth Texas, Zip Code: 76132 Call 817-886-8373 assistance! Chesepeake Apartments, Fort Worth Texas, Zip Code: 761322682 Call 817-886-8373 assistance! Chestnut Ridge Apartments, Fort Worth Texas, Zip Code: 761203809 Call 817-886-8373 assistance! Chisholm Trail II Apartments, Fort Worth Texas, Zip Code: 76116 Call 817-886-8373 assistance! Clover on the Ridge Apartments, Benbrook Texas, Zip Code: 76126 Call 817-886-8373 assistance! Coffee Creek Apartments, Fort Worth Texas, Zip Code: 76132 Call 817-886-8373 assistance! Copperfield Apartments, Fort Worth Texas, Zip Code: 76132 Call 817-886-8373 assistance! Country Bend Apartments, Fort Worth Texas, Zip Code: 761093924 Call 817-886-8373 assistance! Country Place Apartments, Fort Worth Texas, Zip Code: 76116 Call 817-886-8373 assistance! Country View Apartments, Ft. Worth Texas, Zip Code: 76118- Call 817-886-8373 assistance! Creek Hollow Apartments, Ft Worth Texas, Zip Code: 76133 Call 817-886-8373 assistance! Crestwood Manor Apartments, Azle Texas, Zip Code: 76020 Call 817-886-8373 assistance! Crestwood Place Apartments, Fort Worth Texas, Zip Code: 76107 Call 817-886-8373 assistance! Cumberland at Ridglea Apartments, Ft. Worth Texas, Zip Code: 76116 Call 817-886-8373 assistance! Davis Plaza Apartments, Texas, Zip Code: 76180 Call 817-886-8373 assistance! Dayton Square Apartments, Haltom City Texas, Zip Code: 76117 Call 817-886-8373 assistance! Desert Sand Apartments, Haltom City Texas, Zip Code: 76117 Call 817-886-8373 assistance! Emerald Hills Apartments, Ft Worth Texas, Zip Code: 761162944 Call 817-886-8373 assistance! 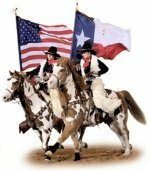 Equestrian Point Apartments, No Richland Hills Texas, Zip Code: 76180-0000 Call 817-886-8373 assistance! Estates Of N. Richland Hills Apartments, N. Richland Hills Texas, Zip Code: 76180 Call 817-886-8373 assistance! Fairway Estates Apartments, Fort Worth Texas, Zip Code: 76112 Call 817-886-8373 assistance! Falcon Ridge Apartments, Fort Worth Texas, Zip Code: 76112 Call 817-886-8373 assistance! Falls-TDS Apartments, Fort Worth Texas, Zip Code: 76116 Call 817-886-8373 assistance! Firestone Upper West Side Apartments, Ft. Worth Texas, Zip Code: 76102 Call 817-886-8373 assistance! Fossil Hill Apartments Apartments, Haltom City Texas, Zip Code: 76117 Call 817-886-8373 assistance! Fossil Ridge Apts. Apartments, Haltom City Texas, Zip Code: 76117 Call 817-886-8373 assistance! Fountains Apartments, Fort Worth Texas, Zip Code: 76132 Call 817-886-8373 assistance! Garden Gate Apartments, Ft. Worth Texas, Zip Code: 76137 Call 817-886-8373 assistance! Glenview Square Apartments, N Richlnd Hls Texas, Zip Code: 76118-0000 Call 817-886-8373 assistance! Greenwood Creek Apartments, Fort Worth Texas, Zip Code: 761093970 Call 817-886-8373 assistance! Haltom Oaks Apartments, Haltom City Texas, Zip Code: 76117 Call 817-886-8373 assistance! Harris Gardens Apartments, Fort Worth Texas, Zip Code: 76104 Call 817-886-8373 assistance! Havenwood Apartments, Fort Worth Texas, Zip Code: 76112 Call 817-886-8373 assistance! Heights Of Cityview Apartments, Ft.Worth Texas, Zip Code: 76132 Call 817-886-8373 assistance! Hertiage Apartments, Haltom City Texas, Zip Code: 76117 Call 817-886-8373 assistance! Hidden Oaks Apartments Apartments, Ft. Worth Texas, Zip Code: 76114 Call 817-886-8373 assistance! Highland Park Apartments, Fort Worth Texas, Zip Code: 76132 Call 817-886-8373 assistance! Hildring Place Apartments, Fort Worth Texas, Zip Code: 76132 Call 817-886-8373 assistance! Hillside Apartments, Fort Worth Texas, Zip Code: 76102 Call 817-886-8373 assistance! Historic Electric Bldg Apt Apartments, Fort Worth Texas, Zip Code: 76102 Call 817-886-8373 assistance! Homes of Parker Common Apartments, Fort Worth Texas, Zip Code: 76104 Call 817-886-8373 assistance! Horizons At Fossil Creek Apartments, Fort Worth Texas, Zip Code: 76137 Call 817-886-8373 assistance! Hulen Gardens Apartments, Fort Worth Texas, Zip Code: 76133 Call 817-886-8373 assistance! Hulen Heights Apartments, Fort Worth Texas, Zip Code: 76107 Call 817-886-8373 assistance! Hulen Hills Apartments, Fort Worth Texas, Zip Code: 76107 Call 817-886-8373 assistance! Hulen House Apts. Apartments, Ft. Worth Texas, Zip Code: 76107 Call 817-886-8373 assistance! Hulen Oaks Apartments, Fort Worth Texas, Zip Code: 76132 Call 817-886-8373 assistance! Hulen Park Place Apartments, Fort Worth Texas, Zip Code: 76107 Call 817-886-8373 assistance! Hulen Place Apartments, Fort Worth Texas, Zip Code: 76107 Call 817-886-8373 assistance! Hunters Ridge Apartments, Fort Worth Texas, Zip Code: 76132 Call 817-886-8373 assistance! Huntington Apartments Apartments, Fort Worth Texas, Zip Code: 76112 Call 817-886-8373 assistance! Lakeview Apartments Apartments, Ft.Worth Texas, Zip Code: 761354538 Call 817-886-8373 assistance! Lakeview Terrace Apartments, Haltom City Texas, Zip Code: 76117 Call 817-886-8373 assistance! Lancaster Apartments, Fort Worth Texas, Zip Code: 76103 Call 817-886-8373 assistance! Lancaster Lofts Apartments, Fort Worth Texas, Zip Code: 76102 Call 817-886-8373 assistance! Legends At Eagle Mountain Apartments, Fort Worth Texas, Zip Code: 76179 Call 817-886-8373 assistance! Leuda May Historic Apartments, Fort Worth Texas, Zip Code: 76104 Call 817-886-8373 assistance! Lincoln Meadows Apartments, Fort Worth Texas, Zip Code: 76112 Call 817-886-8373 assistance! Lodge At River Park , The Apartments, Ft. Worth Texas, Zip Code: 76116 Call 817-886-8373 assistance! Marina Club Apartments, Ft Worth Texas, Zip Code: 76132 Call 817-886-8373 assistance! Marine Creek Apartments, Ft Worth Texas, Zip Code: 76106-0000 Call 817-886-8373 assistance! Markeen Apartments, Fort Worth Texas, Zip Code: 76104 Call 817-886-8373 assistance! Marquis at Bellaire Ranch Apartments, Ft.Worth Texas, Zip Code: 76109 Call 817-886-8373 assistance! Marquis at Stone Gate Apartments, Fort Worth Texas, Zip Code: 76109 Call 817-886-8373 assistance! Marquis at Willow Lake Apartments, Fort Worth Texas, Zip Code: 76109 Call 817-886-8373 assistance! Meadowbrook Gardens Apartments, Fort Worth Texas, Zip Code: 76112 Call 817-886-8373 assistance! Meridian Apartments, Fort Worth Texas, Zip Code: 76106 Call 817-886-8373 assistance! Mill Valley Apartments, Fort Worth Texas, Zip Code: 76120 Call 817-886-8373 assistance! Monticello Oaks Townhomes Apartments, Ft.Worth Texas, Zip Code: 76107 Call 817-886-8373 assistance! North Hills Place Apartments, RICHLAND HILLS Texas, Zip Code: 76118-0000 Call 817-886-8373 assistance! Northridge Village Apartments, N.Richland Hills Texas, Zip Code: 76180 Call 817-886-8373 assistance! Oakwood Apartments, Fort Worth Texas, Zip Code: 76133 Call 817-886-8373 assistance! Oakwood Estates Apartments, Ft Worth Texas, Zip Code: 76116 Call 817-886-8373 assistance! Papillon Parc Townhomes Apartments, Ft Worth Texas, Zip Code: 761202708 Call 817-886-8373 assistance! Park Creek Apartments, Ft.Worth Texas, Zip Code: 76137 Call 817-886-8373 assistance! Park Hill Apartments, Fort Worth Texas, Zip Code: 76133 Call 817-886-8373 assistance! Park Ridge I, II & IIII Apartments, Fort Worth Texas, Zip Code: 76110 Call 817-886-8373 assistance! Park West Apartments, Fort Worth Texas, Zip Code: 76134 Call 817-886-8373 assistance! Pennsylvania Place Apartments, Ft. Worth Texas, Zip Code: 76104 Call 817-886-8373 assistance! Polo Club Apartments, Fort Worth Texas, Zip Code: 76133 Call 817-886-8373 assistance! Quail Ridge Apartments, Fort Worth Texas, Zip Code: 76103 Call 817-886-8373 assistance! Railridge Apartments, Ft Worth Texas, Zip Code: 76133 Call 817-886-8373 assistance! Remington Hills Apartments, Ft Worth Texas, Zip Code: 761323221 Call 817-886-8373 assistance! Reserve At Oak Hill Apartments, Ft.Worth Texas, Zip Code: 76109 Call 817-886-8373 assistance! Reserve At Stone Gate Apartments, Fort Worth Texas, Zip Code: 76109 Call 817-886-8373 assistance! Residence of Museum Place Apartments, Fort Worth Texas, Zip Code: 76107 Call 817-886-8373 assistance! Retreat At Fossil Creek Apartments, Ft Worth Texas, Zip Code: 76137 Call 817-886-8373 assistance! Richland Place Apartments, Richland Hls Texas, Zip Code: 76118-0000 Call 817-886-8373 assistance! Ridgecrest At Hulen Bend Apartments, Fort Worth Texas, Zip Code: 76132 Call 817-886-8373 assistance! Ridgmar Square -TDS Apartments, Fort Worth Texas, Zip Code: 76116 Call 817-886-8373 assistance! River Glen Apartments, Benbrook Texas, Zip Code: 76019 Call 817-886-8373 assistance! River Oaks Apartments Apartments, Ft. Worth Texas, Zip Code: 76114 Call 817-886-8373 assistance! River Park Place Apartments, Ft.Worth Texas, Zip Code: 76116 Call 817-886-8373 assistance! River Ranch Apartments, Fort Worth Texas, Zip Code: 76132 Call 817-886-8373 assistance! Riverstone Apartments, Fort Worth Texas, Zip Code: 76116 Call 817-886-8373 assistance! Salem Park Apartments, Fort Worth Texas, Zip Code: 76132 Call 817-886-8373 assistance! Sandy Oaks Apartments, Ft Worth Texas, Zip Code: 76112 Call 817-886-8373 assistance! Sante Fe At Fossil Creek Apartments, Fort Worth Texas, Zip Code: 76137 Call 817-886-8373 assistance! Second Dimension Apartments, Fort Worth Texas, Zip Code: 76114 Call 817-886-8373 assistance! Silver Creek By Norstar Apartments, N. Richland Hills Texas, Zip Code: 76180 Call 817-886-8373 assistance! Southern Oaks Apartments, Fort Worth Texas, Zip Code: 76132 Call 817-886-8373 assistance! Spanish Oaks Apartments, Fort Worth Texas, Zip Code: 76103 Call 817-886-8373 assistance! Spring Hill Apartments, Ft. Worth Texas, Zip Code: 76107 Call 817-886-8373 assistance! Spring Lake Apartments, Haltom City Texas, Zip Code: 76117 Call 817-886-8373 assistance! Steeplechase Apartments, Ft Worth Texas, Zip Code: 761128341 Call 817-886-8373 assistance! Sterling Pointe Apartments, Fort Worth Texas, Zip Code: 761122763 Call 817-886-8373 assistance! Stonegate Villas Apartments, Fort Worth Texas, Zip Code: 76109 Call 817-886-8373 assistance! Stonehenge Apartments, Fort Worth Texas, Zip Code: 76109 Call 817-886-8373 assistance! Summer Brook At North Beach Apartments, Fort Worth Texas, Zip Code: 76137 Call 817-886-8373 assistance! Summit On The Lake Apartments, Ft Worth Texas, Zip Code: 76135 Call 817-886-8373 assistance! Sycamore Hills Apartments, Fort Worth Texas, Zip Code: 76133 Call 817-886-8373 assistance! Sycamore Pointe Townhomes Apartments, Fort Worth Texas, Zip Code: 761344705 Call 817-886-8373 assistance! Sycamore Trace Apartments, Ft Worth Texas, Zip Code: 76133 Call 817-886-8373 assistance! Taj Mahal Apartments, Fort Worth Texas, Zip Code: 76107 Call 817-886-8373 assistance! Tantara Club Apartments Apartments, N.Richland Hills Texas, Zip Code: 76180 Call 817-886-8373 assistance! Township On Hulen Bend Apartments, Fort Worth Texas, Zip Code: 76132 Call 817-886-8373 assistance! Two Thousand Oaks Apartments, No Richland Hills Texas, Zip Code: 76018-0000 Call 817-886-8373 assistance! Vanderbilt Apartments, Fort Worth Texas, Zip Code: 76120 Call 817-886-8373 assistance! Verandas At Cityview Apartments, Fort Worth Texas, Zip Code: 76132 Call 817-886-8373 assistance! Victory Arts Center Apartments, Ft. Worth Texas, Zip Code: 76110 Call 817-886-8373 assistance! Villa Supreme Apartments, Fort Worth Texas, Zip Code: 76119-0000 Call 817-886-8373 assistance! Villages Of Fossil Creek Apartments, Fort Worth Texas, Zip Code: 76137 Call 817-886-8373 assistance! Villas of Eastwood Terrace Apartments, Fort Worth Texas, Zip Code: 76105 Call 817-886-8373 assistance! Villas On The Green Apartments, N.Richland Hills Texas, Zip Code: 76180 Call 817-886-8373 assistance! Vistas At Lake Worth Apartments, Fort Worth Texas, Zip Code: 76135 Call 817-886-8373 assistance! Waldemar Apartments, Haltom City Texas, Zip Code: 76117 Call 817-886-8373 assistance! Warwick Apartments, Ft. Worth Texas, Zip Code: 76116 Call 817-886-8373 assistance! Waterford On The Green Apartments, Fort Worth Texas, Zip Code: 76116 Call 817-886-8373 assistance! West Point Pines Apartments, Fort Worth Texas, Zip Code: 76116 Call 817-886-8373 assistance! Westcliff Place Apartments, Ft Worth Texas, Zip Code: 76132 Call 817-886-8373 assistance! Westcreek Court Townhomes Apartments, Ft Worth Texas, Zip Code: 76133 Call 817-886-8373 assistance! Westlake Gardens Apartments Apartments, Fort Worth Texas, Zip Code: 76108 Call 817-886-8373 assistance! Whisper Wind Crossing Apartments, Ft Worth Texas, Zip Code: 76107 Call 817-886-8373 assistance! Whisperwoods Apartments, Fort Worth Texas, Zip Code: 76112 Call 817-886-8373 assistance! Williamsburg Village Apartments, Saginaw Texas, Zip Code: 76179 Call 817-886-8373 assistance! Willow Bend Apartments, Fort Worth Texas, Zip Code: 76112 Call 817-886-8373 assistance! Willow Glen Apartments, Fort Worth Texas, Zip Code: 76134 Call 817-886-8373 assistance! Wilshire West Apartments, Fort Worth Texas, Zip Code: 76116 Call 817-886-8373 assistance! Wind Rush Apartments, Fort Worth Texas, Zip Code: 76116 Call 817-886-8373 assistance! Windtree Apartments, Fort Worth Texas, Zip Code: 76112 Call 817-886-8373 assistance! Windtree(Do Not Use) Apartments, Ft.Worth Texas, Zip Code: 76112 Call 817-886-8373 assistance! Woodglen Apartments, Fort Worth Texas, Zip Code: 76112 Call 817-886-8373 assistance! Woodhaven Crossroads Apartments, Fort Worth Texas, Zip Code: 76112 Call 817-886-8373 assistance! Woodlake Apartments, Fort Worth Texas, Zip Code: 76112 Call 817-886-8373 assistance! Woodland Oaks Apartments, Fort Worth Texas, Zip Code: 76112 Call 817-886-8373 assistance! Woodlands of Fort Worth Apartments, Fort Worth Texas, Zip Code: 76112 Call 817-886-8373 assistance! Woodstock Apartments, Fort Worth Texas, Zip Code: 76112 Call 817-886-8373 assistance! Woodstone Apartments, Fort Worth Texas, Zip Code: 76112 Call 817-886-8373 assistance! We are looking for individuals across the nation that would like to become locators. Our opportunities include on-line publishing, owning a local Apartment Selector franchise or adding locating to your real estate or management company businesss. Give me a call for more information, thanks Kendall Laughlin-CEO 214-361-4420.